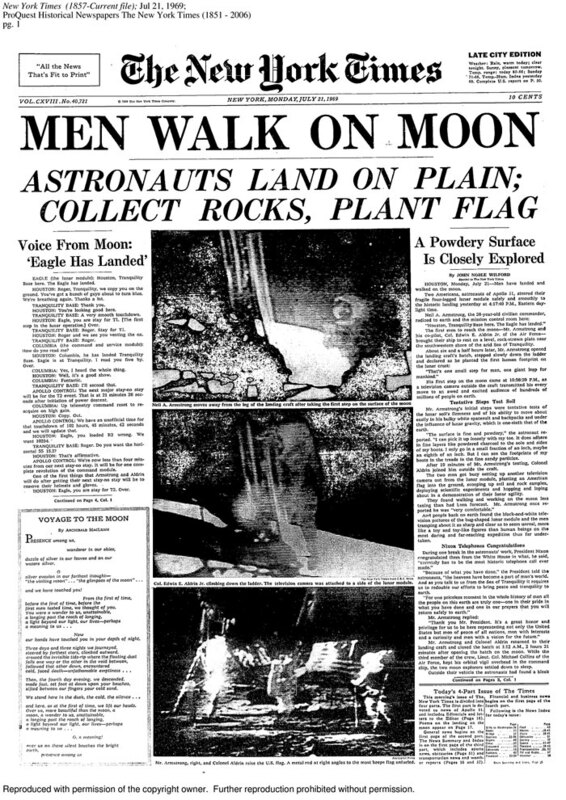 Forty-five years ago, man walked on the moon. Do we still reach for the stars? In 1961 President Kennedy announced that an American would land on the moon within a decade. It was certainly an ambitious, lofty and seemingly impossible goal. Space, after all, was the last frontier, the great unknown. I imagine that many scoffed at the notion. But, sure enough, it happened. 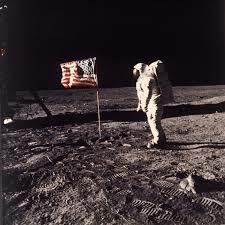 In 1969 Neil Armstrong walked on the moon. The American flag was planted securely into the ground. I wasn’t alive to watch those first lunar steps on television, but I can only imagine the sense of wonder and pride. I imagine families — not just in the United States, but around the world – sitting in silence, knowing that they were witnessing an unbelievable and pivotal moment. Man had conquered the final frontier. The impossible, suddenly seemed possible. All things must have suddenly seemed possible. If only we put our nose to the grindstone, if we wanted it bad enough we could – and would – achieve anything. The United States entered the space age. We reached for the stars, not just believing – but knowing – that we would reach them. Three years ago, the Space Shuttle Atlantis returned to Earth for the final time. There will be no more shuttle missions. NASA will never again send an American into space from our own country. Our days of adventuring, exploring and conquering just for the sake of adventure and bragging rights are over. And I can’t help but be sad. Yes, the shuttle missions were incredibly expensive, the value of the missions – especially in today’s economy – questionable at best. Much of that money could be well invested here on earth. But my youth was filled with the idea of endless possibilities. The belief that humans would live on Mars. That somewhere out there were Star Wars-like beings that we would soon encounter and travel at the speed of light to see. That the Hubble telescope would uncover secrets that we had never imagined, perhaps even some of those intergalactic beings. That one day I too might stare back at our little marble planet while floating among the stars. Yes, this is far-fetched, impractical. Not economically sound. But dreams don’t need to be. I am not only sad for the lost jobs, not for the loss of the inflated ego that the US achieved in that first “small step for mankind,” but for what has changed in us. In 1961 we were involved in the Cold War, an arms race. This was a race for supremacy. Horrible vanity. But, we believed in ourselves. We believed in the American spirit and ingenuity. We believed that we truly were that “shining city upon a hill,” the best country on earth. “The Force” was with us. What do we believe now? Now, when the economy is shaky, we’re involved in two wars, American teenagers are falling behind their peers around the world in education, American confidence and optimism are at near record lows, our country is frighteningly close to a government default, and our leaders cannot come to an agreement, in fact, cannot even seem to be civil with one another. Do we still believe in ourselves? The shuttle missions ended and almost no one batted an eye lash. Something nags at me. Maybe what saddens me so is not just the end of the shuttle missions, maybe not even the end of the Space Age. Maybe what saddens me the most is that something else has changed, something much more profound, something within us.